Jim is a connoisseur of vintage cars. Jim has been attending the climb for more than 20 years. He makes the 60 mile trek every year to enjoy the festival in this small town. 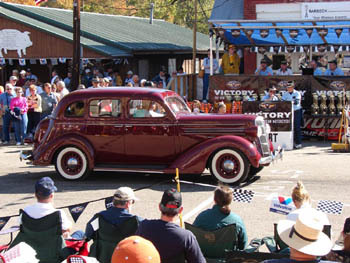 It is a rare opportunity to actually see vintage cars run and drive. To see them grind the gears and race to the top of a steep hill is a real treat! 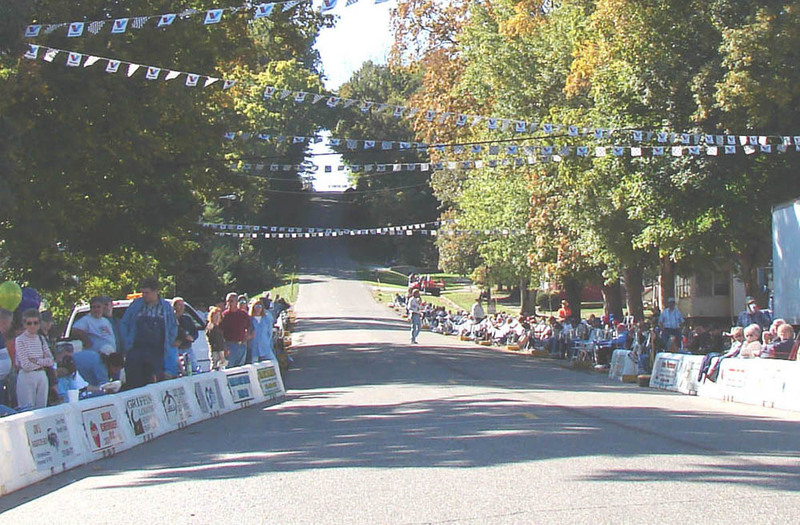 2007 marked the 40th consecutive running of the hill-climb. The NEWPORT LIONS CLUB is the organization which fine-tunes this event so that every year it comes off without a hitch! Rain or shine, Newport is a blast! The whole town participates in this event. 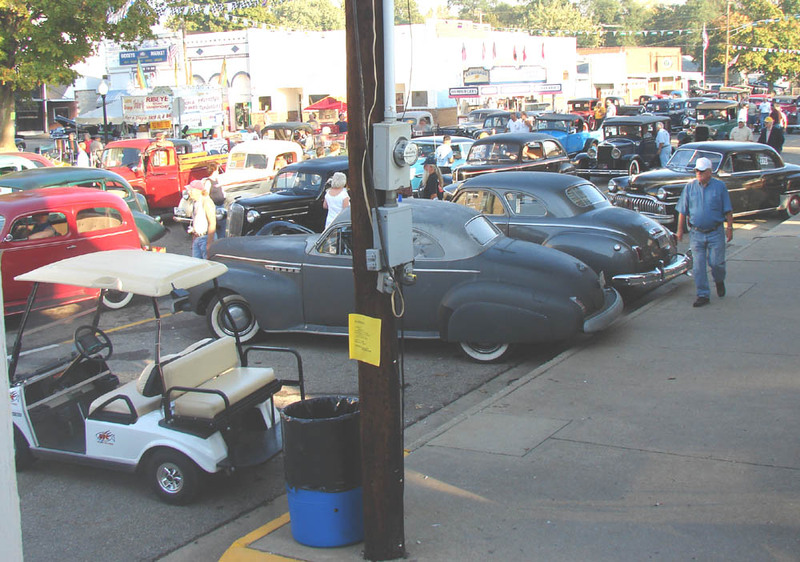 In addition to the competition, on Saturday and Sunday the shaded streets are lined with hundreds of antique collector cars and trucks of all varieties for the two-day auto show. 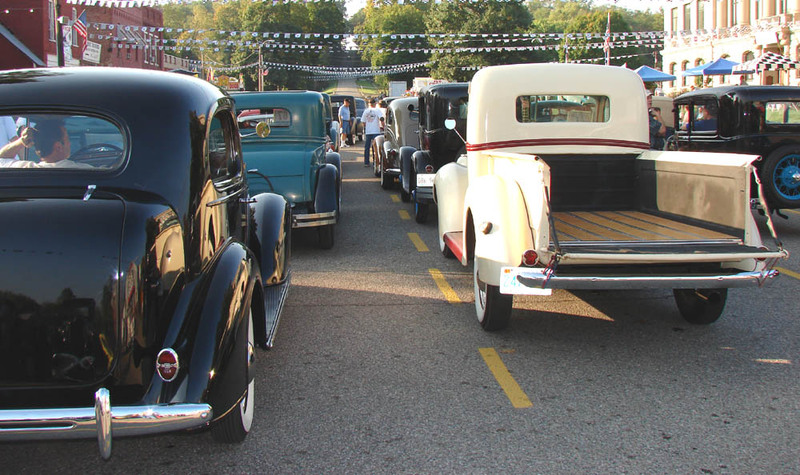 This is truly one of Indiana's premier auto events, second only to the INDY 500! 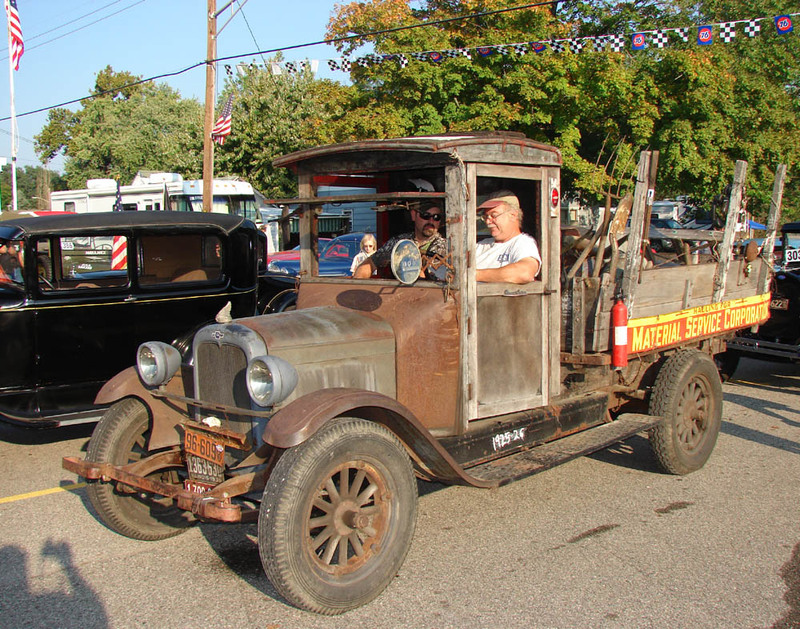 These photos represent only a small portion of the activity that surrounds Newport for three days every October. Jim considers these photos taken at auto shows to be within the public domain. All photos are the exclusive property of Jims59.com. They may not be used on any other website or publication without written permission of the photographer. You are welcome to download images for personal use. When Jim features a specific automobile on this website, it is viewed as a compliment. A compliment to the quality of the restoration and the skills of it's owner-builder-restorer. If your automobile is shown on this website, and you would like additional information posted to the narrative, or for some reason you would like the image(s) removed, please contact us via the email link on this site and the changes, or photo removal will be done immediately. 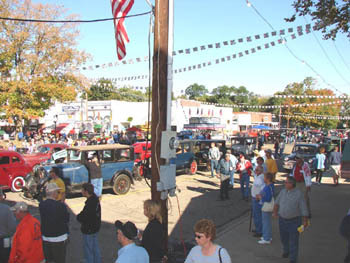 Photo from the 2007 Newport Indiana antique auto hill climb and auto show.. This is the "staging" line where the cars and trucks wait for their chance at the hill. The HILL! A photo looking up the hill does not do it justice... It is VERY STEEP. 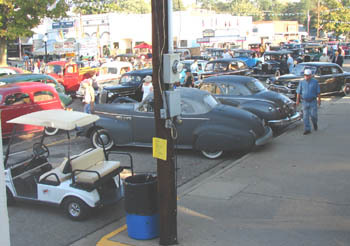 This view shows the cars waiting in line for the 2006 event. The cars run up the hill one at a time. A Ford Model "A" gives it a try. The model "T" cars are also running the hill. 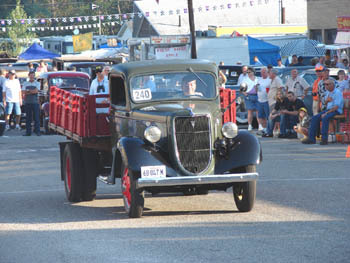 The fastest cars run the hill in about 30 seconds, some of the Model "T" cars take about 1.5 minutes. 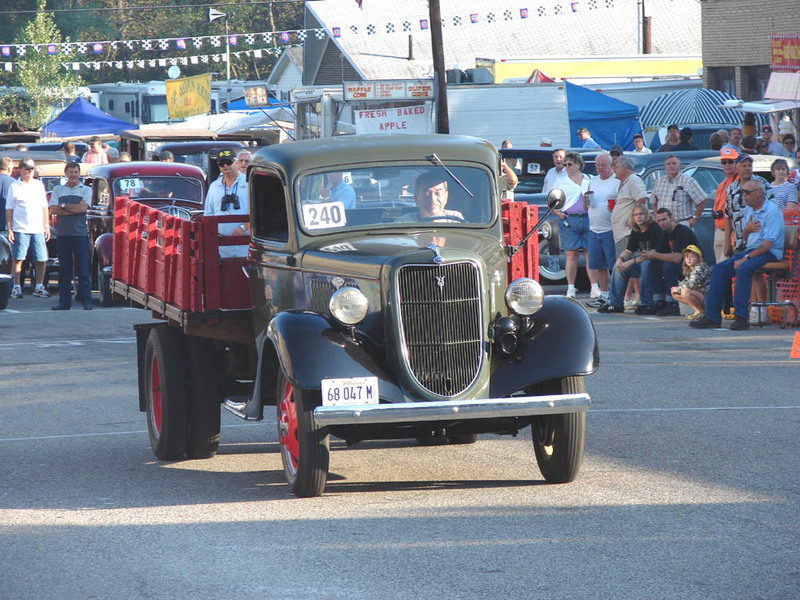 Generally speaking, the climb is for pre-WWII cars and trucks. However, if a make was discontinued before 1955, then these cars can also run in the climb. These old HEMI powered Desotos really run. They are very heavy and have primitive automatic transmissions, so they are not very exciting to watch at the start line. Listen carefully to this video. This Desoto accelerates the entire climb. Topping the hill at a high rate of speed. 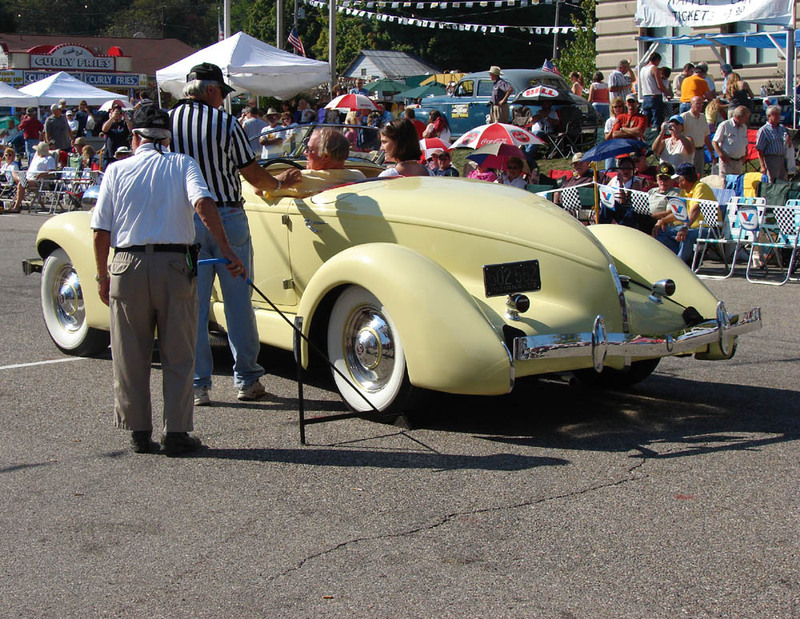 This 1935 Auburn Boat Tail Speedster has not missed a climb for 34 years. Watch this car run the hill. Auburns were made in Auburn Indiana. Auburns and Duesenburgs were the cars preferred by movie stars and millionaires. Cars competing in the hill-climb must be completely mechanically "stock". Experts look for modifications during in-depth technical inspections. If any variations are found, time penalties are assessed. There is one special class where Model "T" based modified cars can run. Some of these little racers are strong runners.